Really excited to see what the guys at 120 Sports can do in the next few years. If anyone is going to take on the ESPN, FOX Sports, Sports Illustrated conglomerate sports publishers, 120 Sports has a shot with its mobile-first and Bleacher-Report casual reporting. 24/7 programming, fantasy tips, this network is a winner in the mobile sports space. 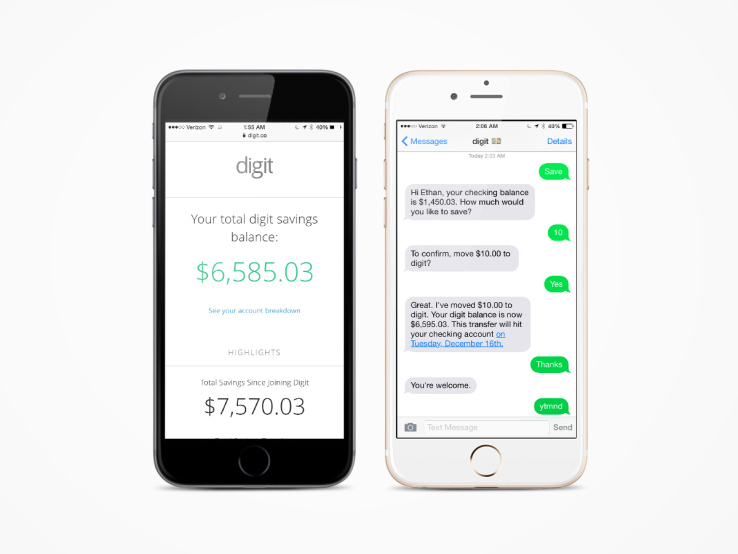 Digit, is a new fin-tech and personal finance application that actually walks the walk. While MINT and other finance trackers provide reports on spending habits and saving suggestions, Digit goes one step forward by depositing savings into a separate account from your checking account each month. Digit's algorithms analyze balances, income, and spending behavior to create a personal amount each month that is transferred to a separate Digit account. Millennials are always told to start saving young, even if it's just 20 bucks here, or 100 bucks there. This digital approach can be an exciting way to jumpstart this kind of financial planning and foresight.